Are you a classic car nut? With summer inching ever closer, it’s time for your prized investments to come out of hiding and into view. Of course, car shows and warm-weather joy rides would not be possible without adequate car collection storage. DC Structures creates barn kits specifically geared toward the dedicated hobbyist. If classic cars are your passion, then ours is to provide a top-notch car storage barn. That’s why we designed the Sellwood Garage Kit in three different sizes, ranging from two to four garage bays depending on the size of your classic car collection. Storing collector cars is serious business, as exposure to humidity and other elements can cause irreparable harm to your vintage automobiles. In most cases, the standard home garage simply won’t cut it unless you invest in a digital climate control device. Even then, space is limited and risk is elevated on account of the fact that other tools and gadgets in frequent use will likely be stored in the same place. Imagine your vintage autos showcased in an environment that’s been crafted with the attention to detail you possess when considering a new gem for your classic car collection. We know tastes vary, which is why we offer so many options and upgrades that allow you the flexibility to create a space you can be proud to say you designed. Car barns are becoming an increasingly popular option for classic car enthusiasts, as their timber frame shells are built to last. Our barn kits are designed with top-quality lumber from the Pacific Northwest, and with proper upkeep over time will remain standing for generations to come. 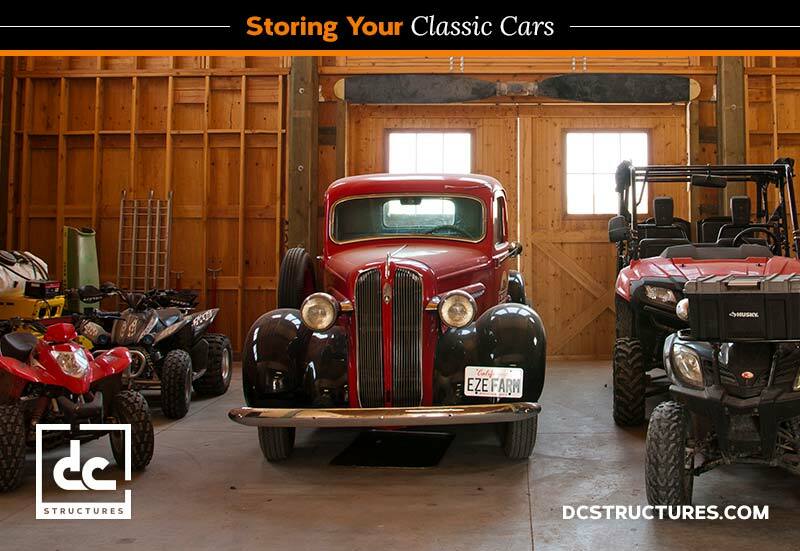 If you’re ready to make a long-term investment in keeping your vintage car collection safe, request our digital catalog to explore options and upgrades for our car barn kit.